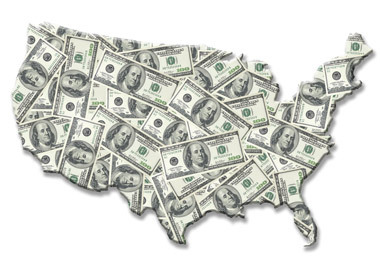 Global Venture Capital Investors Enthusiastic About U.S. Global investor confidence in the U.S. has increased significantly thanks to favorable markets and abundant opportunities, according to a survey. U.S. firms raised $7.4 billion in new commitments in the second quarter. Global investor confidence in the U.S. has increased significantly, thanks to favorable capital markets, abundant investment opportunities and a strong investor climate, according to the 2014 Global Venture Capital Confidence Survey from Deloitte and the National Venture Capital Association. Investor confidence has also increased in Israel and Canada. The survey was conducted in May and June among some 300 venture capital, private equity and growth equity investors in the Americas, Europe, Asia and Africa. It looked specifically at investor confidence on the global venture capital environment, market factors shaping industries and investments in specific geographies and industry sectors, assigning confidence levels on a scale of 1 to 5 (most confidence). “For the past three years, the U.S. has seen a significant increase in investor confidence, continuing the trend which began to take hold in 2012,” Jim Atwell, national managing partner of Deloitte & Touche’s emerging growth company practice, said in a statement. According to the statement, venture capital fundraising has accelerated in recent quarters, with U.S. firms having raised $7.4 billion in new commitments from 78 funds during the second quarter of 2014. This was the strongest quarter for the number of funds raised since the fourth quarter of 2007. Venture capitalists invested $29.5 billion in 3,382 companies in 2013. Software was the leading sector, receiving 37.3% of total dollars followed by biotechnology with 15.4% of total investment. Among first fundings, software led the way with 591 companies getting their initial venture capital rounds, some 46% of all first fundings. In line with this, the survey found that global investors continued to invest and were most enthusiastic for less capital intensive IT-related sectors, particularly technology, mobile and cloud computing. Less in favor were sectors requiring more capital intensive spends, including hardware and semiconductors. U.S. respondents’ outlook on investing in U.S. opportunities scored an average of 4.17, up 41 basis points from 2013, according to the survey. At the same time, U.S. confidence in global capital markets rose from 2.70 in 2013 to 2.99 in 2014. Emerging markets continued to decline among global investors. Survey participants rated Brazil at 3.13, down 42 basis points from 2012; China at 3.27, down 18 basis points from 2012; and India at 3.08, down 16 basis points from 2012. For the second year in a row, U.S. venture capital investors surveyed named cloud computing as the area they were most confident investing in, with a 4.29 rating, trailed closely by mobile technology at 4.28. Enterprise software followed at 4.00, and health care IT and services at 3.87. Global venture capital investors survey responses showed similar results: cloud computing (4.11), mobile (4.02) and health care IT and services (3.94). U.S. investors gave lowest confidence scores to energy/clean technologies (2.47) and semiconductors (2.33), while the global group showed the least confidence for investments in hardware (2.83) and semiconductors (2.76). Overall confidence about the global economy increased 33 basis points from the previous year to 3.20. Fifty-five percent of investors expressed a neutral sentiment about global economic prospects. Among U.S.-based participants, confidence in the global economy scored 2.96, up 19 basis points from 2013. Across the globe, the U.S. maintained its position as the best country in which to invest, rating 4.03, followed by Israel at 3.71, Canada at 3.48 and Germany at 3.38. However, U.S.-based respondents doubted government’s ability to enact policies that support domestic venture capital, private equity and growth equity investment in the coming year. Confidence in government policymaking dropped from a collective 2.17 in 2013 to 2.05 in this year’s survey, the lowest among the countries surveyed. “A global environment where capital flows to companies from creation to growth to exit depends, in part, on government policies that encourage investment in new ideas and provide a clear pathway for innovations to go to market,” Scott Sandell, general partner of New Enterprise Associates and chairman of NVCA, said in the statement. Confidence of respondents from 11 other countries in their government’s support averaged a 3, but all of them had higher confidence levels than the U.S. respondents. Investors’ confidence in their home government’s ability to help domestic venture capitalists via incentives, policy and legislation were highest for India (3.83), China (3.63) and Japan (3.58).